1. Love is an irresistible desire to be irresistibly desired. 2. Earth’s the right place for love: I don’t know where it’s likely to go better. 3. You don’t have to deserve your mother’s love. You have to deserve your father’s. He’s more particular … The father is always a Republican towards his son, and his mother’s always a Democrat. 4. We love the things we love for what they are. 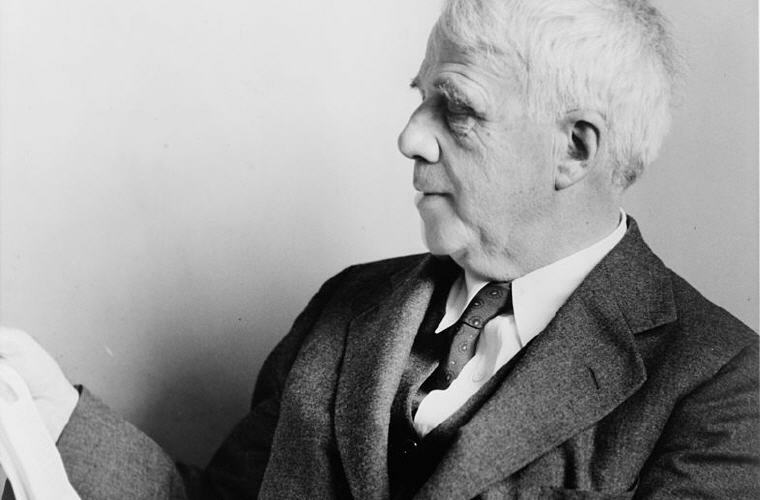 Excerpt from Wikipedia: Robert Lee Frost (March 26, 1874 – January 29, 1963) was an American poet. He is highly regarded for his realistic depictions of rural life and his command of American colloquial speech. His work frequently employed settings from rural life in New England in the early twentieth century, using them to examine complex social and philosophical themes. A popular and often-quoted poet, Frost was honored frequently during his lifetime, receiving four Pulitzer Prizes for Poetry. 1. The world is full of willing people; some willing to work, the rest willing to let them. 2. Why abandon a belief merely because it ceases to be true? Cling to it long enough, and it will turn true again, for so it goes. Most of the change we think we see in life is due to truths being in and out of favor. 3. Forgive me my nonsense as I also forgive the nonsense of those who think they talk sense. 4. I often say of George Washington that he was one of the few in the whole history of the world who was not carried away by power. 5. More men die of worry than of work, because more men worry than work. 6. In three words I can sum up everything I’ve learned about life — It goes on. 7. The only way round is through. 8. By working faithfully eight hours a day you may eventually get to be boss and work twelve hours a day. 9. The brain is a wonderful organ. It starts working when you get up in the morning, and doesn’t stop until you get to the office. 10. A civilized society is one which tolerates eccentricity to the point of doubtful sanity. 11. Education is the ability to listen to almost anything without losing your temper or your self-confidence. 12. A bank is a place where they lend you an umbrella in fair weather and ask for it back when it begins to rain. 13. Home is the place where, when you have to go there, they have to take you in. 14. Always fall in with what you’re asked to accept. Take what is given, and make it over your way. My aim in life has always been to hold my own with whatever’s going. Not against: with. 15. Something we were withholding made us weak, until we found out it was ourselves. 16. Half the world is composed of people who have something to say and can’t, and the other half who have nothing to say and keep on saying it. 17. A mother takes twenty years to make a man of her boy, and another woman makes a fool of him in twenty minutes. 18. It’s a funny thing that when a man hasn’t anything on earth to worry about, he goes off and gets married. 19. A diplomat is a man who always remembers a woman’s birthday but never remembers her age. 20. My Sorrow, when she’s here with me, thinks these dark days of autumn rain are beautiful as days can be; she loves the bare, the withered tree; she walks the sodden pasture lane. 21. The greatest thing in family life is to take a hint when a hint is intended — and not to take a hint when a hint isn’t intended. 22. I am not a teacher, but an awakener. 23. We took risks. We knew we took them. Things have come out against us. We have no cause for complaint. 24. The difference between a job and a career is the difference between forty and sixty hours a week. 25. Have I not walked without an upward look of caution under stars that very well might not have missed me when they shot and fell? It was a risk I had to take — and took. 26. Never be bullied into silence. Never allow yourself to be made a victim. Accept no one’s definition of your life; define yourself. 27. Happiness makes up in height for what it lacks in length. 28. The reason why worry kills more people than work is that more people worry than work. 29. How many things would you attempt if you knew you could not fail. 30. There never was any heart truly great and generous, that was not also tender and compassionate. 31. If one by one we counted people out for the least sin, it wouldn’t take us long to get so we had no one left to live with. For to be social is to be forgiving. 32. The best way out is always through.